the hope for a better life. 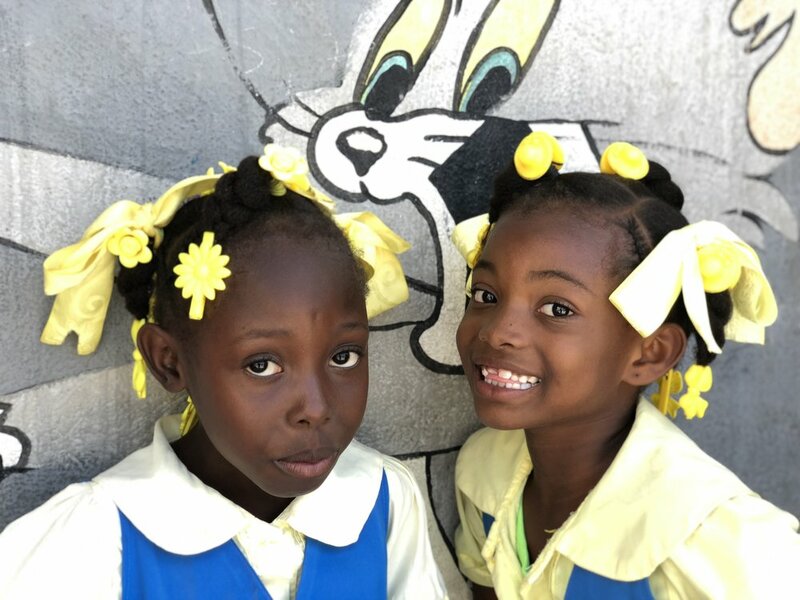 Haitian Outreach gives the children of Haiti hope for a better life through the opportunity to attend school and get an education. We personally visit every child in our program every year and dollars given go directly to the students/schools. Please help us by sponsoring a child to get an education, donating, or volunteering. Why Haiti needs our help. Haiti is the poorest country in the northern hemisphere; a situation only made worse by the tragic 2010 earthquake and Hurricane Andrew in 2016. Access to clean water, food, and basic services are a daily struggle for the proud and hard-working Haitians. public schools are scarce in Haiti. Roughly 85% of education is provided through non-governmental organizations. Private schools require tuition. That's where we come in. We work to give as many children as possible their first opportunity to go to school and imagine a better life for themselves. The majority of Haitians survive on less than the cost of a cup of coffee. There is no government support of schools and many can't afford the tuition. We assist these children. Literacy is the key to a better job and a better life in Haiti and many don’t have that opportunity. Haitian Outreach provides children the gift of an education through our Child Sponsorship Program. We support children in 6 schools in and around Port-au-Prince. This is approximately 60-80 miles of the surrounding regions. We have 300-320 children from kindergarten through high school; this year that includes 19 university students! Many students have graduated to become bankers, diplomacy professionals, teachers and doctors. Things most children never even dream of becoming. 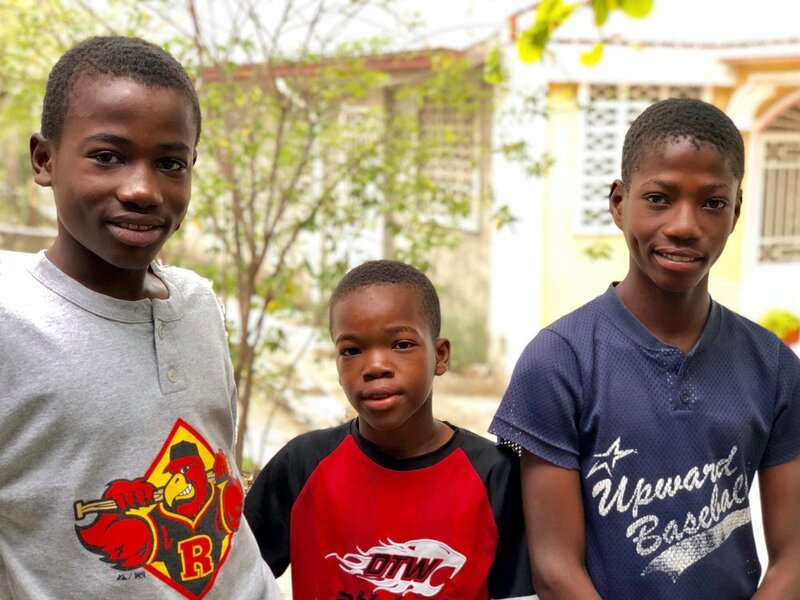 With your help, these children will grow and contribute to further the quality of life in Haiti. If you sponsor a child, it's an incredible experience to see them grow up with your love and support. For less than a dollar a day you can have a huge impact in the life of a child in Haiti. Each child receives $100.00 for tuition at an elementary, secondary, or high school. (This amount can include, a uniform and/or immunizations, if needed. Every dollar you give us goes directly to your child’s education. We pack and ship over 300-320 backpacks each year to Haiti, Each is made specifically for the needs of each sponsored child to attend school. Each year you will receive a photo and letter from your student and detailed information about their wellness, hopes, and dreams. We have over 30 unsponsored children at this time. For only $200 a year you can make a difference in the life of a child. We're a non-profit 501 (c) (3) charitable organization; all donations are tax deductible. We support between 300-320 students attending 6 different schools in and around Port-au-Prince. Our missionary group of 10 made it safely in and out of Haiti mainly thanks to the culmination of prayers that were said for all of us. We saw 304 children in 6 schools in 5 days. May 9th, Eat in or Take Out, Lunch or Dinner at UNO's, Leominster, MA. You must bring one coupon per person in order for Haitian Outreach to receive 20% of your bill! Coupons will be available at the entrances to St. Bernard church, Fitchburg OR print the coupons. This past January, it was Haitian Outreach month at St. Bernard parish at St. Camillus church in Fitchburg. Somehow, even though the weather is totally different from Haiti weather, all are connected in spirit and energy. Unfortunately, we’ve had had to postpone our trip March 5th as Haiti is having a lot of problems in the country with has made it unsafe for us to travel there as planned. January means it's time to get ready to visit our sponsor students in HAITI soon. If you have not already done so, and would like to send "Rice Money" to your child's family in Haiti now is the time! Please be sure your sponsorship reaches us before July 31st. Principals meet with parents and students prior to the start of the school year in September. Checks should be made payable to: Haitian Outreach and mailed to P.O. Box 16, Fitchburg, MA 01420. You may also pay online by using the online donation tool (PayPal). If you have any questions , please contact us at Haitian.Outreach_pma@yahoo.com! Haitian Outreach is a nonprofit 501(c)(3) organization. All donations are tax deductible.